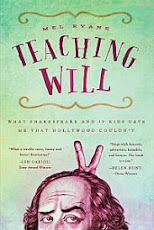 Teaching Will: The Shakespeare Club: Recess: Who Are These People? Festival in Stratford, Ontario. 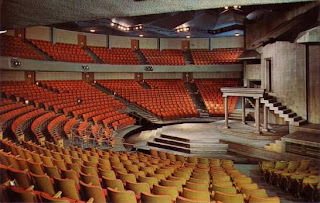 The company has four theatres for its long calendar of productions. The largest, at over 1,800 seats, is the main Festival stage. It must be expected, with so many people filling the seats, there will be a few noodles in attendance. During one performance, as the house lights came up for intermission, a certain dimwit proceeded to wander across center stage toward the backstage. "Excuse me, where are you going?" asked an usher, stopping the patron mid-cross. "Oh, I just wanted to tell the actors that they're doing a great job and that I'm enjoying the show." Yeah. Theatres, like churches, can attract all kinds.